Picture by Scottie T from www.intrepidescape.com. Tks mate! Cycling downhill, overlooking the Mediterranean sea, feeling the wind on my face, the speed, the freedom. Sports in Catalunya, I could feel the adrenaline pumping in my veins while venturing myself from the Pyrenees to Costa Brava. An adventurous trip mixed with great wine, delicious food and a sparkle of history. An experience I won’t forget! I`m a big fan of outdoors activities: being in contact with nature, the freedom… It`s an incredible feeling. After enjoying Barcelona and explore its surroundings you can spare some time to appreciate nature and practice some sports in Catalunya. 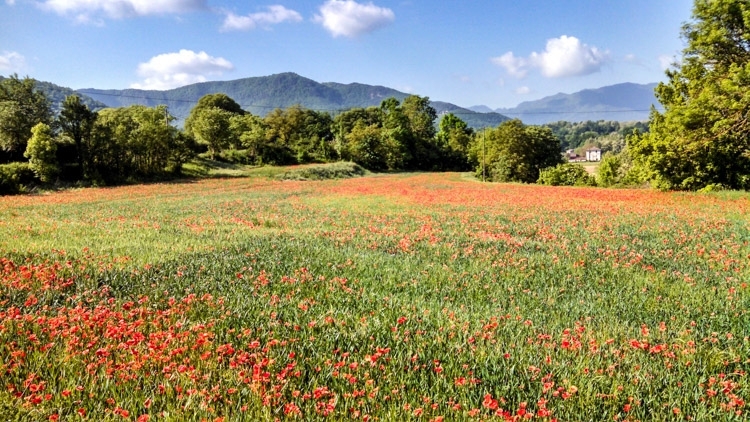 What about a cycling route from the Pyrenees to Costa Brava? 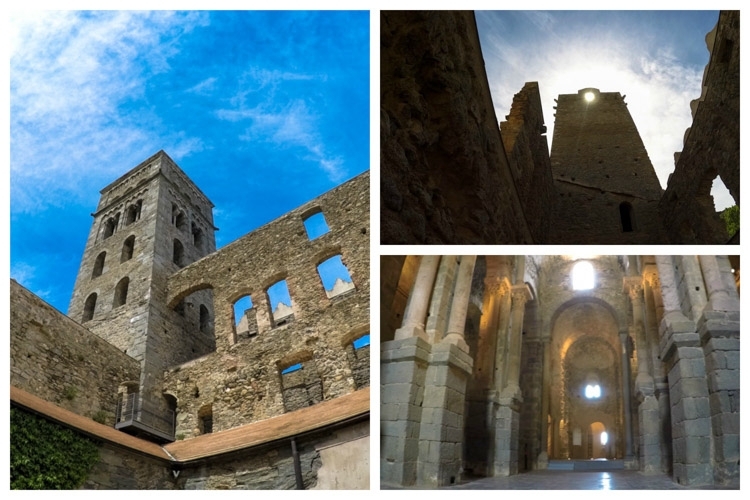 Fancy a hiking to a medieval castle? Or kayaking through a Natural Park? Catalunya is like a “Disneyland” for sports enthusiasts. Let`s get our bikes and cycle in Catalunya! On my last trip to Spain (5th time and I can’t get enough), I was introduced to a very cool idea. 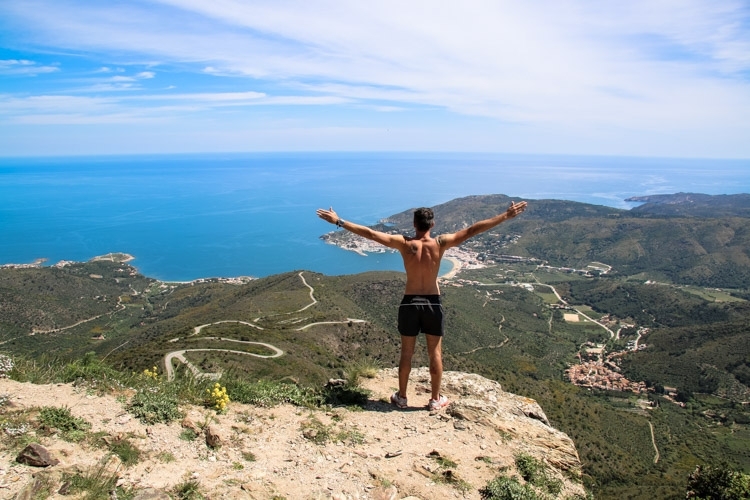 A group of hostels got together to launch several sports activities including an itinerary of 3 days cycling from the Pyrenees to Costa Brava. Oh boy, I was thrilled! Cycle through the Pyrenees mountains and reach the beautiful beaches of Costa Brava? With a support car driving along? Yes, I`m in! And that’s how I got hooked up on the idea of doing some extreme sports in Catalunya. Insider’s tip: arrive one day before start cycling and head to a restaurant called La Teuleria, the food is absolutely gorgeous. Senñor Alejandro runs the family restaurant for over 30 years, he is one of the most incredible characters I have ever met. The opportunity to enjoy a 100 years old wine on his private cellar while he shared some memories involving Salvador Dali was priceless. His cellar is a treasury, among the bottles from the best Spanish harvests, he also has wines that were specially made for the Pope, with the Vatican seal on it! So, time to cycle, the first day was quite tough. There was a lot of climbing till reaching the highest point at Coll de Canes, 1120 meters above sea level. 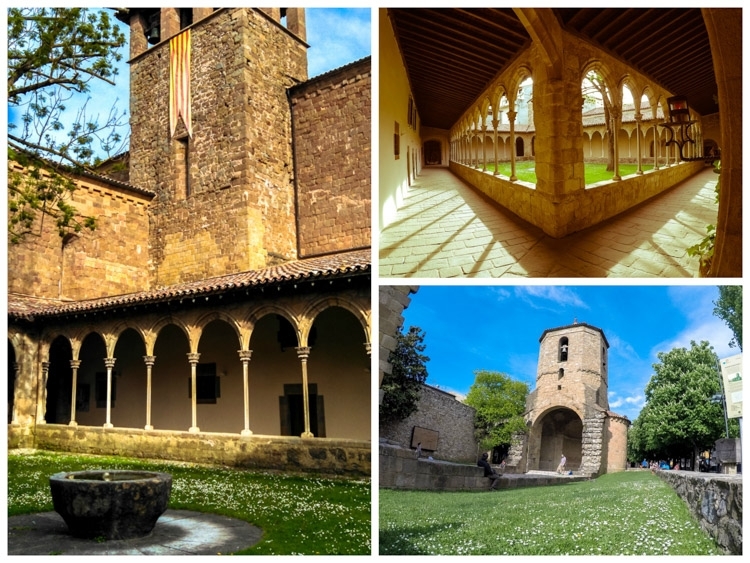 On the way we stopped in Ripoll to visit the Santa Maria Monastery, the gate is an impressive piece of gothic art. The good news is that after all the climbing comes the downhill part, about 10 km. Yeah, baby! You can go really, I mean really really fast, just take care on the turns. The first day ended in Vall D’en Bas, where during a glorious lunch I was taught how to drink “Porró”, check this video to learn too. After lunch, with the batteries recharged, we went to a tour around the town and the Mallol medieval village. The old town looks like a set of Game of Thrones. Some alleys were quite spooky, I would not walk there alone during night time. If you fancy, there is a prison cell open for those who want to spend the night. 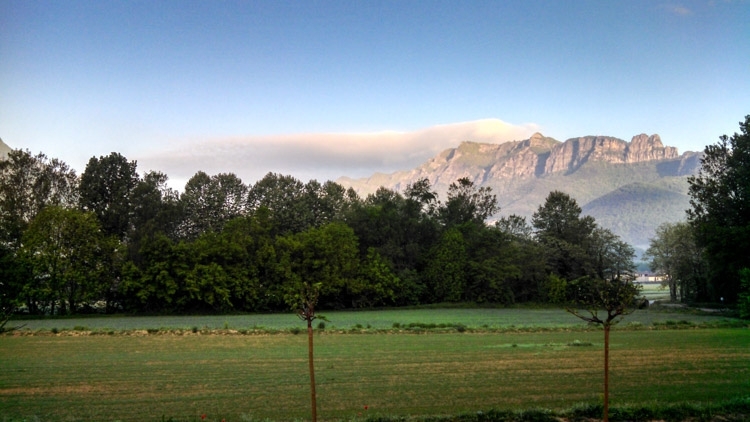 From Vall D’en Bas the journey headed to Banyoles. On the way, we passed by a lush green forest called “La Fageda D`en Jorda”. Incredible how the temperature dropped inside the forest, about 3-4 degrees! The forest is located in the La Garrotxa Volcanic Zone Natural Park, but don`t worry, the last eruption happened 11.000 years ago. Banyoles is famous as a summer destination, tourists love the beautiful lake and the amount of different of watersports available. 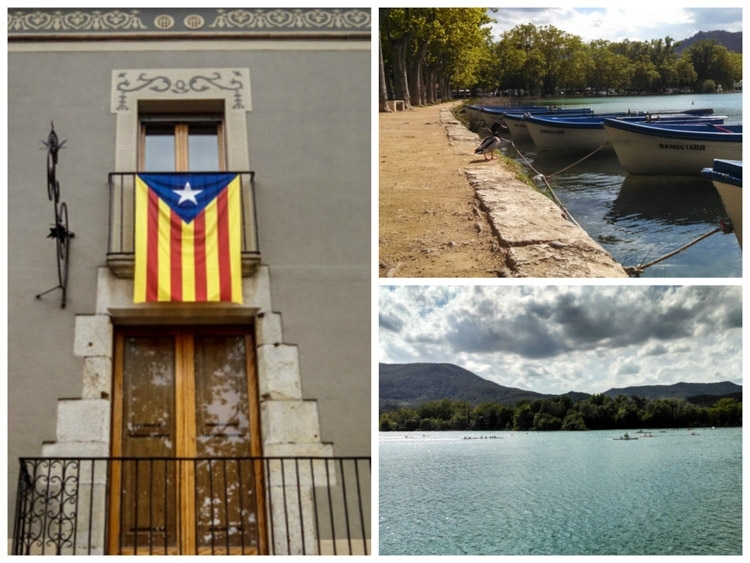 If you are looking for sports in Catalunya, Banyoles is your place. I spot the Belgium Triathlon team training while we were sailing around the lake. After the boat ride we treated ourselves with a fancy lunch at La Carpa, a Michelin awarded restaurant. Delicious food and impeccable service. Try the arroz and for dessert the Crema Catalan, wash it down with Ratafia a local herb liquor. Llançá was our final stop, the city has a nice laidback atmosphere. You can enjoy a walk on the beach, check the day catch on the Fish market or enjoy other sports in Catalunya 🙂 Since we are on a beach town makes sense that our next sport choice involves the sea. We were supposed to do a sea kayaking tour around the beaches of Llançá. We received the safety instruction, boarded on our kayaks, paddled a bit and then our instructor Pau, said: “You gonna get wet”. I thought that was another joke since he could not stop making us laugh. However that time was serious, he explained that “Tramontana” started blowing. Tramontana is a very strong wind that comes from the north and the consequences are not that good. Suddenly the sea changed, waves shaking our kayaks, and we could see the boats returning to the port. It`s was nature showing its power! Pau took us to a safe place near the beach where we had great fun playing games of trying to stand on the kayak or even changing positions. What an adventure! 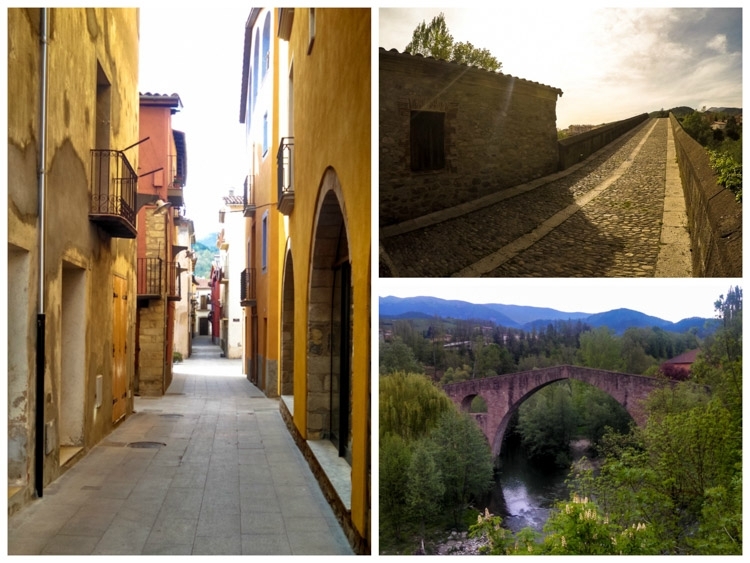 Cycling, hiking, kayaking, not to mention the amazing and proud people we met in Catalunya. The 3 days itinerary is suitable for everybody, you can do it on your pace, no rush, you can be sure the support car will be ways there for you. 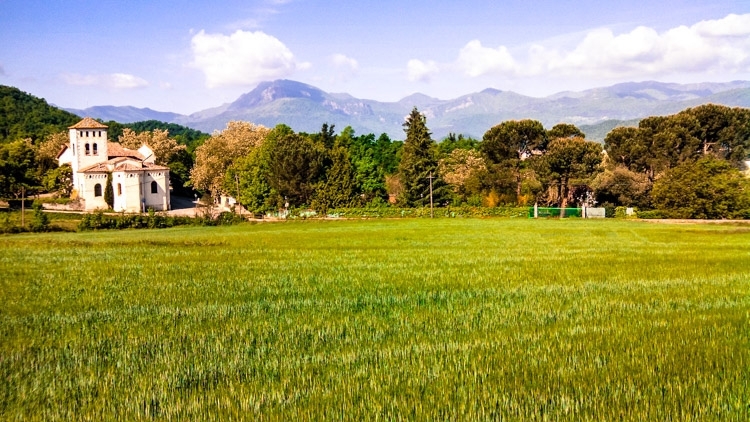 Take time to enjoy the beautiful fields, landscapes, and ancient villages. Don`t forget to recharge the batteries with the delicious Catalan food and wine! Train: Girona and Barcelona are again the hub. Consider a Eurail Pass, we wrote a great guide about the pros & cons of using a Eurail Pass. 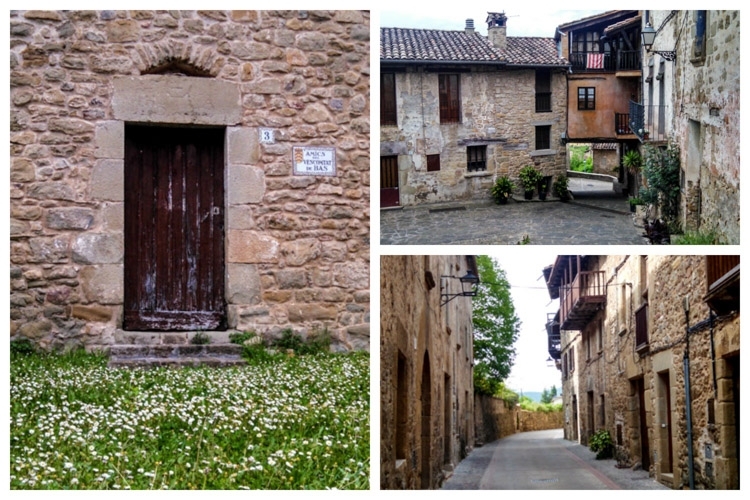 After the train, you can take a bus ride to San Joan de les Abadesses. Bus: Teisa operates a bus line San Joan de les Abadesses. 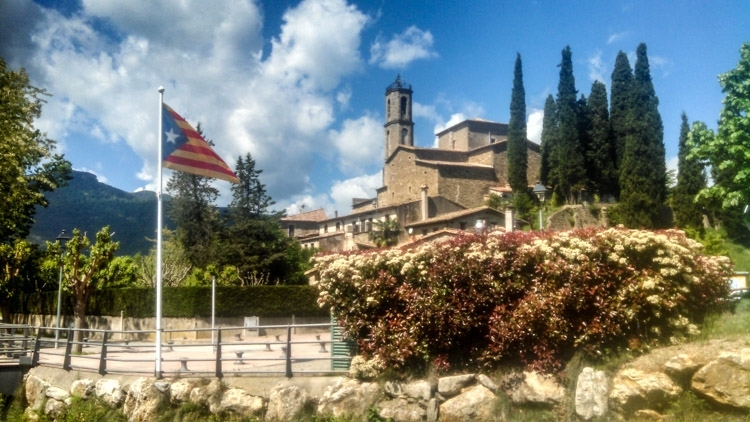 My friend Scott Tisson from intrepidescape.com was with me on this trip and he wrote great tips on what to do in Catalunya. Check him out! Now you have all the info to enjoy the outdoors and practice sports in Catalunya. Are you ready for this trip? PS: A big thanks to Albergs Costa Brava Pirineu de Girona, Costa Brava Tourism Board & all the companies involved for putting this trip together. Doesn’t matter who paid the bill, you always get our sincere opinion. We went on a cycling holiday last year, which we absolutely loved. There’s something so fantastic about being outdoors and feeling the wind on you as you zip along! The scenery here looks amazing too – not to mention the food you ate when you stopped off! That looks like quite the adventurous trip! 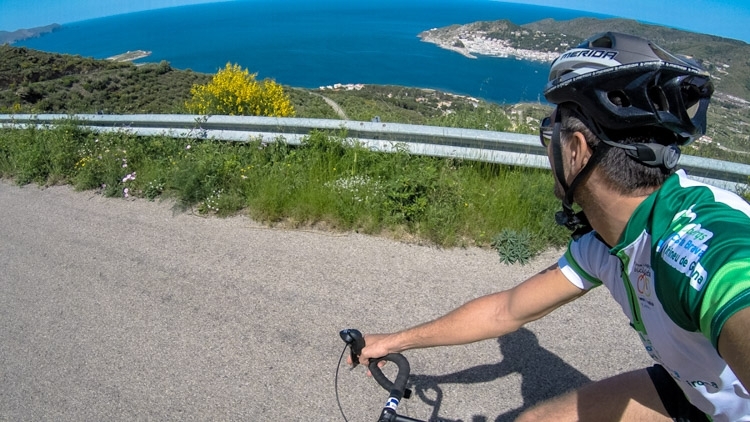 Costa Brava would be a great region to cycle… all that sunshine! Amazing!! I’ve loved seeing all the content coming out of Costa Brava post-TBEX, I didn’t know much about the region but would definitely consider adding it into our European itinerary when we head over, thanks for sharing! It`s incredible the diversity of activities they have in Costa Brava! Genius! This is a really amazing way to discover a place. You have got everything wrapped in one package. Catalunya looks like a wonderful place, lots of history and wonderful views, activities and good food of course. It`s true, Catalunya offers the full package! Wow you got some amazing pictures. I haven’t done a cycling trip and now I’m thinking I should give it a try. Thanks for the great suggestions. Spain has many surprises and wonderful areas to explore for sure. This looks absolutely amazing!! We’re trying to get to Spain as soon as possible and this looks like the best way to discover that part of Spain! We’ll definitely be looking to do this route and even if we decide not to cycle it, we’ll definitely be stopping at those restaurants along the way! Please don`t miss the food!!!! Everydady when back to the hostels we look to each other and said: This was the best food I`ve ever had! What a great experience, looks like you had a lot of fun! Your photos are amazing. It’s so great that the hostels got together and put this trip together for you. And the hostels were amazing, very comfy and people there are great fun! Wow this itinerary is detailed! You deserve another glass of wine for putting it together. Who would of thought Catalunya is so much more than Barcelona. Your photos sell it well. Padded shorts? Padded shorts are strongly recommended! I didn`t have it and suffered a bit. I couldn’t agree more. This itinerary is awesome. You gave it a whole new life. It makes your reader want to experience it for themselves. Keep it up! This is a trip that I will deffo do it again! Never had a cycling vacation, but we don’t see why we shouldn’t! This looks awesome. We are sure the destination made it even more delightful! Gorgeous pictures! If only I could bike…or drive. It’s a good thing my husband does! For sure it was a blast! I usually stay at the French side of the border, it is great there too. We drove on the French side back in 2008. Wanna return to cycle now! Having that support car would have me imagining I was in Le Tour! Tks! Catalunya is really awesome!